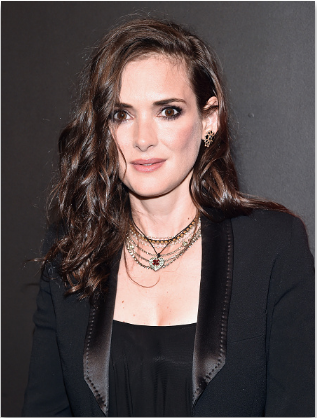 Suave Celebrity Stylist Marcus Francis styled Winona Ryder’s lengthy locks for the premiere of Netflix’s “Stranger Things” at Mack Sennett Studios. “With the cool, simplistic style of her dress, I wanted Winona’s hair to mirror that feeling. Embracing her natural texture and volume, we didn’t need anything elaborate to make it a complete look,” he says. Here, the beauty breakdown. Use Suave Professionals Luxe Style Infusion Volumizing Weightless Blow Dry Spray at the roots and rough dry until 80% dry. Then use Suave Professionals Sea Mineral Infusion Texturizing Sea Salt Spray on the mid shaft area – scrunch and dry completely. Make a side part opposite the side it naturally falls and use a 1″ curling iron making a combination of bends (wrapping around the iron only once) and loose waves (wrapping the iron from roots to ends) throughout the hair. Loosely shake out the hair, and lightly use Oribe Dry texturizing spray. I have tried this trick and believe me i am loving my hair.